Often times many of us subscribe to that policy of “it can be done later, so let it be”. And taking an objective look over this can result in realizing just how much of a negative impact this alone has on our productivity, and when you think about it success taken as a whole. Once experiencing the failure to detach from this habit, it becomes quite clear that additional effort is indeed required. And so we go forth making “things-to-do lists” and after a while, when we stop for a second and throw back a retrospective look, we are faced with the fact that quite some time has passed and we are still chasing our tail around the maypole – in the end we become too tired to continue, and the next thing you know it’s failure of the whole process, and having to start all over again. So what is really the approach, if there is one already? David Taylor from Massachusetts is constantly struggling with staying on top of his daily to do list. As he says, he is really trying to find a way to be more productive by forcing himself to reach those checkpoints throughout the week. So far, giving himself milestones to reach has been not that much of a success in terms of fulfilling them, he says. According to him, sometimes it even wears him down even further. So what is he doing wrong? What all of our failed attempts have in common? This one is perhaps the number one reason. And while we are all nodding along right now, the thing is that often times we go over this forgetting it completely. We give ourselves unrealistic expectations in the first place. We try to focus on too many different aspects all at once. And this weekly, or even daily to do list, may successfully go for a while, but not that far down the road we are inevitably going to fail. Call it an overload if you will. It’s just all too much, all too sudden. Here is an idea – instead of creating one list after another for each and every day, try relying on your long term healthy habits. If you have more of these in your life, your time will fill itself automatically. An example of this would be habits like meditation, keeping a journal, working out, eating a certain diet… When you have such habits, they simply fill in your entire daily schedule, or at least the backbone on top of which you add more and more tasks. I remember reading an interview with Brad Pitt, where he was talking about his role preparation for the movies Troy and Fight Club. Once he shared his daily routine, it was obvious that he had been spending most of his days working out and practicing lines. Go ahead and read through our article on the Brat Pitt workouts and you’ll see how long term goals can shape your daily to do lists. The same can be said if you have any long term pursuits, especially ones related to fitness, healthy living, or competitive sports. If you are trying to reduce belly fat like some of my clients are, there is a garden variety of small tasks scattered throughout the day that you need to perform. This one is as interesting as it can get. I was practicing this myself so many times that if you ask me now I will probably not be able to give you a number. The epic fail here is making to do lists when euphoria strikes you, and when you are not thinking objectively and realistically. You read that article that gave you the motivation, or you heard some story that inspired you greatly; you may even saw something that you like, and had an “aha! moment” and decided to just get it. The next thing you do is make a list of things to do, and you are throwing almost everything you can think of. The epilog- just short of a week ahead you are up for a disappointment. Don’t be mad on me for saying this, but it’s usually how it goes. However, knowing the mistakes we make we can tilt things in our favor, so keep reading. Committing yourself to something is a good thing to an extent. And sharing your goals can help you in many situations to achieve this. However, shouting out loud about your every goal is just going to make your progress that much more difficult to achieve. First of all you get the satisfaction from social acceptance and approval. And here is the trick – once you get this you are less likely to proceed towards your goals, since you are already enjoying some false sense of achievement. And secondly, you are off to a big disappointment, not only in your eyes, but also in the eyes of others, who are now not taking you that seriously. When we first tried to develop this blog, we were faced against the excitement of endless possibilities have to offer. And even though you may think that there is nothing wrong there, the truth of the matter was that we were starting to get less and less efficient – kind of chasing our tails around the maypole, if you will. This meant that we were spending far too much time developing ideas, and doing nothing productive on the short term. And as ideas alone are worth nothing if you don’t act upon them, time was passing by, and there was no clue to what to do next. Luckily though, we figured the concept of making smaller chunks out of your goals and ideas is actually proving to be quite fruitful, and over time adopted this way of organizing things. Not going to bother you more about the whole story, I will only point the reason of making this analogy, and that is the realization of having more daily to do lists, rather than bigger weekly or monthly to do lists and goals. Going through the things listed above, we can now have a better understanding of what actually stops our progress, and adequately to that shape our approach. Be realistic about how much you can achieve in a given time frame, thus setting realistic goals for yourself. Give undivided attention to one aspect of your life at a given time. Trying to make progress in every segment of it, will wear you down pretty quickly, and we all know the end result on that one. Spent some time analyzing your abilities, and also your goals. 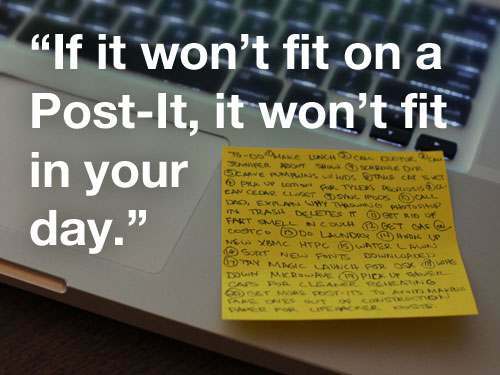 Make a more complex to do list, but as a response to that take as much time as you need. Forget minutes and hours, but try spreading the process as a whole through couple of days giving yourself more time to think. Tell only one or two people that are on the same frequency as you are about your goals. This will serve as a commitment of a kind, and as a support for what you are about to do. Restrain yourself however, of sharing your daily to do list with everyone you cross your path with. Seeing the result ten miles down the road is a great thing, but sometimes we are better off doing things day by day. 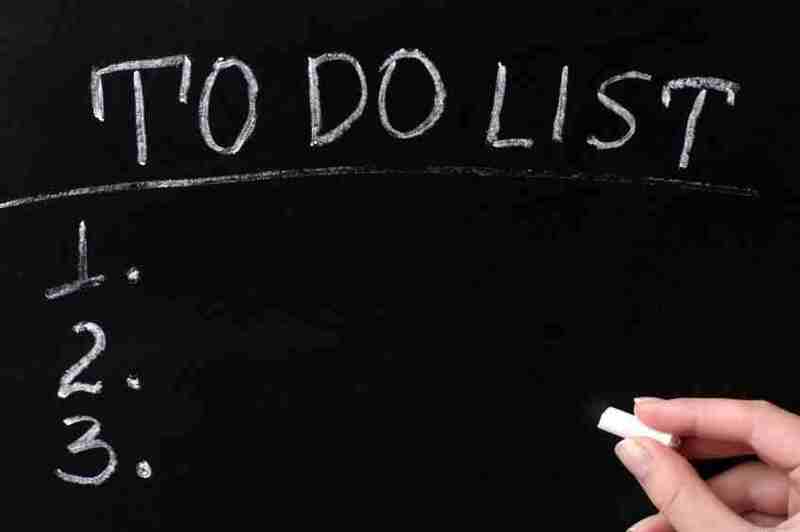 As the label suggests, daily to do list means having tasks assigned for each and every day. Having failed some of them, it will be quite easier to adapt and change the next day. You will also be better off analyzing your progress, compared to setting bigger milestones. Check your progress more often as to get a sense of accomplishment and be more confident in your undergo. Your daily to do list is the best suit for this. You will be able to see which things you procrastinate on the most, adjust your duties accordingly. You will also be able to reminisce in the near future, and see how your progress rate, productivity rate and success in a way were going. I hope you enjoyed this article, and really want to hear from you about your to do list, and how are you handling staying on top of your schedule.